Eastern African Literary and Cultural Studies is a brand new, quarterly title to be published by the NISC/Taylor&Francis collaboration. Launched in 2014, this journal covers research pertaining to literature, culture and arts of the Eastern Africa region, and the instrumental role these facets have played in the post-colonial era. It also focuses on the interactions and impacts that arts and culture has had on other fields, including economics, politics, history, and religion. 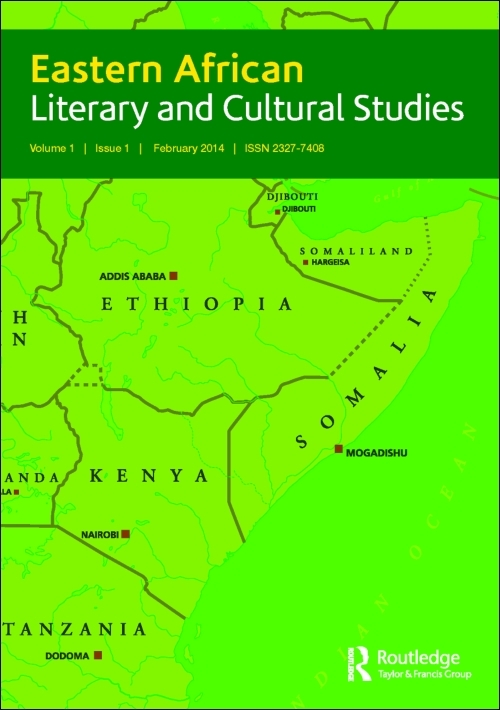 Originating from the University of Nairobi’s Department of Literature, this innovative new journal aims to challenge ‘traditional’ approaches to scholarship on literature and culture and signal new ways of seeing and knowing the region. Manuscripts are welcome for submission on an on-going basis and the research may also stem from the wider regions of East Africa, including Uganda, Tanzania, Rwanda, Burundi, South Sudan, Sudan, and the Horn of Africa. NISC is excited to be part of this important new journal’s launch and assisting in its online visibility and accessibility. For more information on this new title see here or see here.